Morgan Turner’s grief over her sister’s brutal murder has become a rut, an everyday horror she is caught in along with her estranged parents and chilly older brother. In search of a way out, she delves the depths of a factory abattoir, classic horror cinema — and the Canadian criminal justice system, as it tries her sister’s killer and former lover, who is arguing that he is Not Criminally Responsible for his actions because of mental illness. Whatever the verdict, Morgan — with the help of her Chinese immigrant coworkers, a do-gooder, and a lovelorn schizophrenia patient — uncovers her own way to move on. Featured as a “Must-Read” on CBC Books Fall 2015 Reading List. 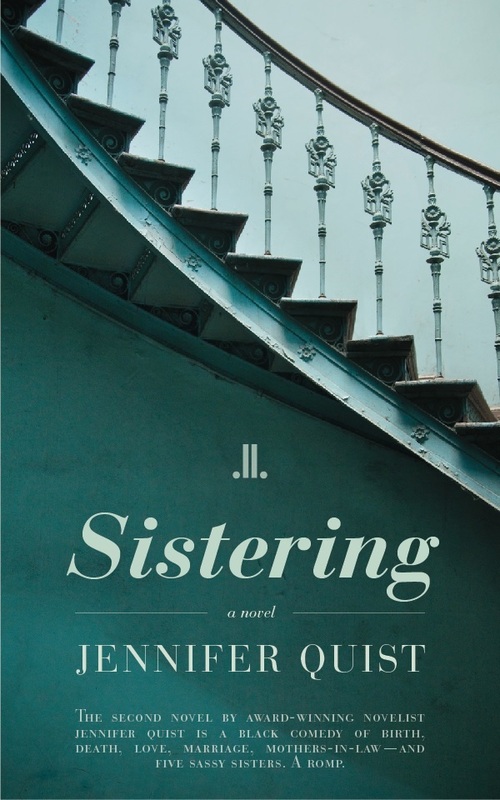 The second novel by award-winning novelist Jennifer Quist is a black comedy of birth, death, marriage, mothers-in-law, and five sisters. When Suzanne’s role as the perfect daughter-in-law ends in a deadly accident, she panics, makes a monumentally bad decision, and upends her world. The bond with her sisters is the strongest force Suzanne knows, and it may be the one thing that can keep her from ruin. Quist’s new novel is hilarious, spine-chilling, satisfying, and original. A romp. Jennifer Quist has an unerring eye for excavating the absurdities and complexities of family relationships: sisters, spouses and mythical mothers-in-law. “Sistering” is by turns dark, light, and deep-black hilarious as Quist peels away the layers to reveal women who desire more than anything to simultaneously fit in and stand out. The lengths to which they go are wonderfully bizarre and surprisingly recognizable, whether you’ve hidden human remains from three governments yet or not. Such a powerful debut [Love Letters of the Angels of Death] created high expectations for Quist’s next novel, and Sistering easily meets and exceeds these expectations, firmly establishing Quist as one of the most talented Latter-day Saint novelists writing today. 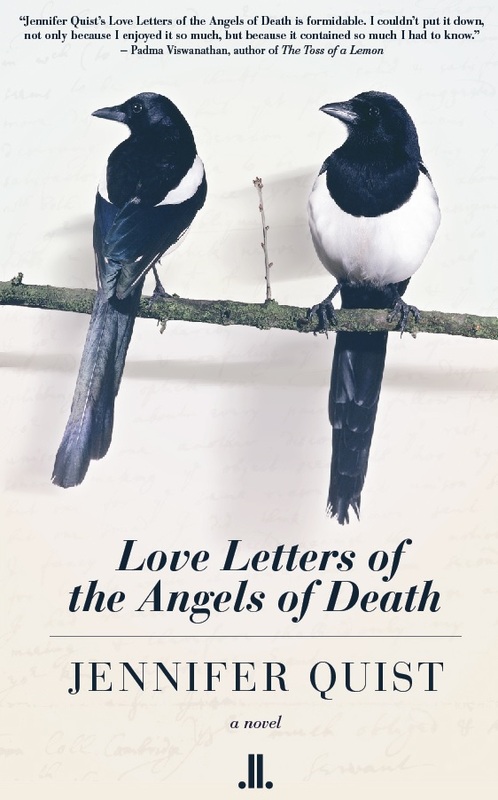 On Aug 3, 2013, my debut novel Love Letters of the Angels of Death was released by Montreal press Linda Leith Publishing. This is a novel for everyone who has ever been happily married — and for everyone who would like to be. Look for it in bookstores such as Audreys Books in Edmonton, Pages in Calgary, Sunworks in Red Deer, McNally Robinson in Winnipeg and Saskatoon, select Chapters-Indigo stores in the Toronto and Montreal areas, Calgary, Edmonton, St. Albert, Vancouver, St. John’s, Halifax, and, yes, Moncton. Check the website to confirm availability. Order Sistering online at Amazon, Chapters-Indigo, Barnes and Noble, or directly from the publisher. Hunt for it it at fine, independent bookstores such as: Pages Kensington in Calgary, Sunworks in Red Deer, etc. It’s also available in select Chapters-Indigo stores in the Toronto, Montreal, and Edmonton areas. Check the store website for availability. And, as always, I will sell copies out of the trunk of my car.